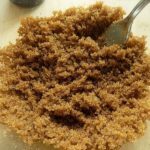 If you want to learn how to make brown sugar at home and learn about different types of molasses, you are in the right place! Today I want to talk about homemade brown sugar and different types of molasses. 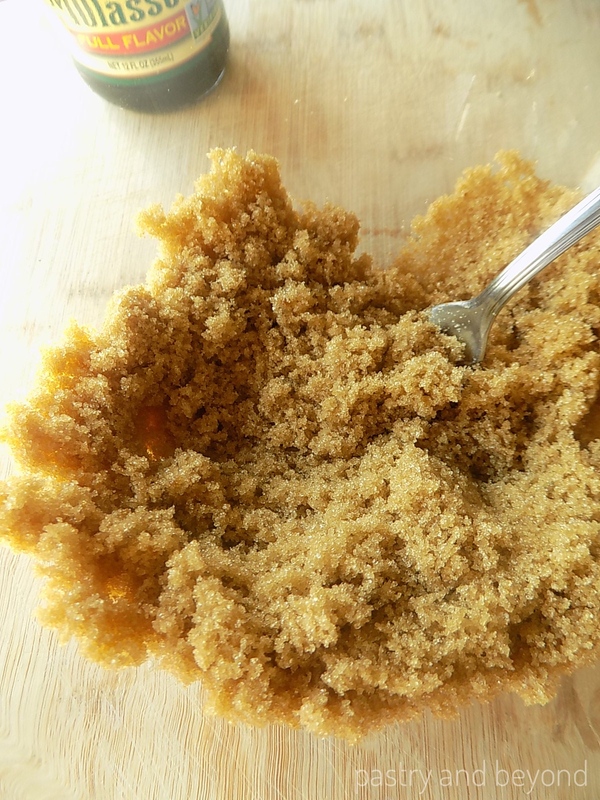 Below you can find the basic information about how to make your homemade brown sugar. The first thing you should know: it is VERY EASY to make. I don’t keep brown sugar at home. Instead, I keep 1 bottle of molasses. 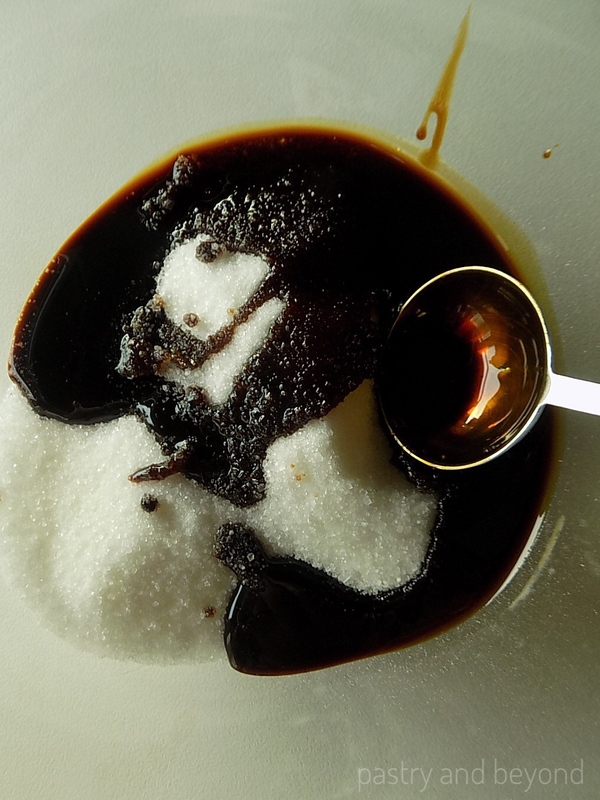 When I need brown sugar, I mix white sugar and molasses to make my homemade light or dark brown sugar. So you just need white granulated sugar and molasses. You can mix them with a fork or a mixer. You may notice some lumps while you are mixing, which are totally normal. Keep mixing until it is totally incorporated. It takes 3 minutes with a fork! During the last minute, I mix vigorously to be sure that no lumps remain. That’s it. 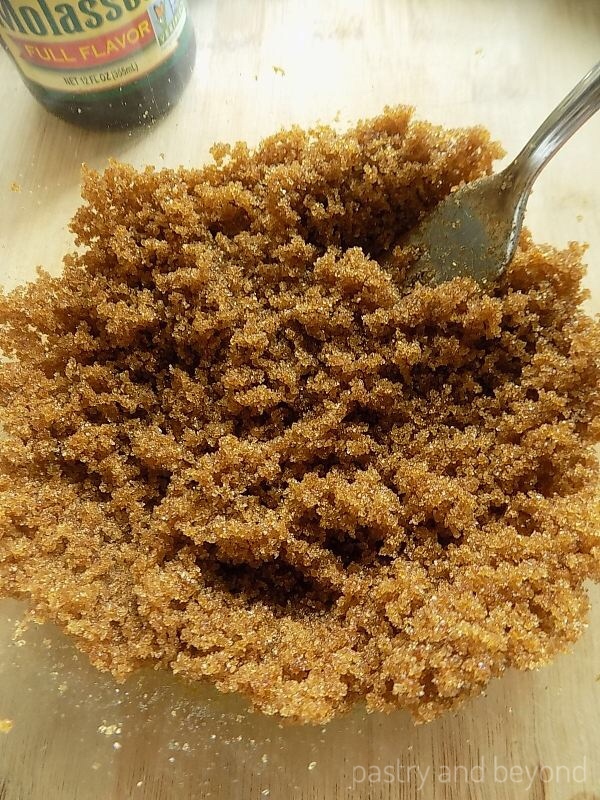 You have your homemade brown sugar! 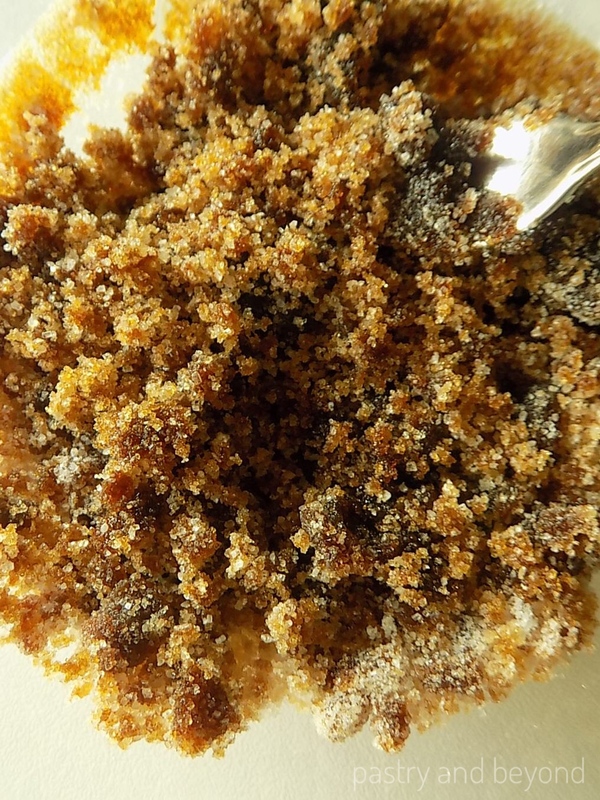 You can easily make homemade brown sugar by mixing granulated sugar and molasses! Put the sugar and molasses in a mixing bowl. Mix the sugar and molasses with a fork until they are totally incorporated. 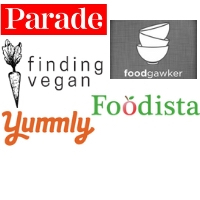 Alternatively, you can use a food processor. THE IMPORTANT QUESTION: What types of molasses should be used? It depends on the person. I read a lot about molasses to understand the different types and made my choice. When you learn about molasses and its stages, you can easily choose which one to use. Now it is time to share the information I have. Then, its juice is extracted. Finally, that juice is boiled until it thickens. Sugar beet is also used to make molasses but the one I use is made of sugarcane. There are 3 stages of the boiling process and these stages will help you give your decision. The first boiling step is known as “first” and “mild” for being the first step and it doesn’t have a deep flavor. Less sugar is extracted from the juice. The third boiling process is called the blackstrap molasses. It is the darkest. It has a thick consistency. More sugar is extracted from the juice so it is the least sweet and has a bitter taste. While making brown sugar, I prefer mild or full flavor rather than blackstrap which is bitter and has a deep taste. You can give a try and make your decision. In my recipe, you may realize that I write unsulphured molasses. Unsulphured molasses doesn’t have additives, it is made from matured canes that ripen naturally, whereas sulphured molasses is made by raw canes into which sulphur dioxide is added. I prefer naturally ripen canes and I use unsulphured molasses.